For other people named George Hudson, see George Hudson (disambiguation). 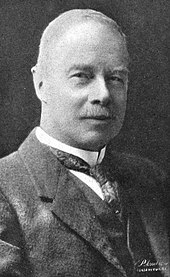 George Vernon Hudson (20 April 1867 – 5 April 1946) was a British-born New Zealand entomologist and astronomer. He won the Hector Memorial Medal. Born in London, Britain, on Easter Saturday, 1867 Hudson was the sixth child of Emily Jane Carnal and Charles Hudson, an artist and stained-glass window designer. By the age of 14 he had built up a collection of British insects, and had published a paper in The Entomologist. In 1881 Hudson moved with his father to Nelson, New Zealand. He worked on a farm, and in 1883, aged 16, he began working at the post office in Wellington, where he eventually became chief clerk, retiring in 1918. Hudson was a member of the 1907 Sub-Antarctic Islands Scientific Expedition. Its main aim was to extend the magnetic survey of New Zealand by investigating the Auckland and Campbell islands but botanical, biological and zoological surveys were also conducted. The expedition also rescued castaways from the Dundonald which had been shipwrecked in the Auckland Islands. Hudson is credited with proposing modern-day daylight saving time. His shift-work job gave him leisure time to collect insects, and led him to value after-hours daylight. In 1895, he presented a paper to the Wellington Philosophical Society proposing a two-hour daylight-saving shift, and after considerable interest was expressed in Christchurch, he followed up in an 1898 paper. In 1933, Hudson was the first recipient (together with Ernest Rutherford) of the T. K. Sidey Medal, set up by the Royal Society of New Zealand from funds collected to commemorate the passing of the Summer-Time Act 1927. Another Briton, William Willett championed the use of daylight saving time. It was made law there in 1916. Hudson's collection of insects, the largest in New Zealand, is housed in the Museum of New Zealand Te Papa Tongarewa. Hudson's wife, Florence, died in 1935. They left one daughter. Hudson died on 5 April 1946 at his home "Hillview" in the Wellington suburb of Karori. An Elementary Manual of New Zealand Entomology. London: West, Newman, & Co. 1892. Retrieved 28 July 2015. New Zealand Neuroptera : a popular introduction to the life-histories and habits of may-flies, dragon-flies, caddis-flies and allied insects inhabiting New Zealand, including notes on their relation to angling. London: West, Newman & Co. 1904. Retrieved 21 January 2016. The butterflies and moths of New Zealand. Wellington: Ferguson & Osborn Ltd. 1928. Retrieved 10 October 2017. Fragments of New Zealand entomology. - a popular account of all New Zealand cicadas. The natural history of the New Zealand glow-worm. A second supplement to the butterflies and moths of New Zealand and notes on many other native insects. Wellington: Ferguson & Osborn Ltd. 1950. Retrieved 15 July 2018. ^ J.T. Salmon. George Vernon Hudson, F.R.S.N.Z. (1867–1946). Transactions and Proceedings of the Royal Society of New Zealand. 1946;76(2):264–6. ^ Satran, Joe (9 March 2012). "The Man Who Invented Daylight Savings Time". The Huffington Post. AOL Inc. Retrieved 17 January 2017. ^ a b Gibbs, George. "Hudson, George Vernon". Dictionary of New Zealand Biography. Ministry for Culture and Heritage. Retrieved 11 March 2012. Wikimedia Commons has media related to Category:George Vernon Hudson. This page was last edited on 31 March 2019, at 18:34 (UTC).